A goal early in the second half by Enda Curran gave Derry City their first win of the season in the Premier Division. The former Athlone Town striker scored with a right-foot shot from outside the area in the 54th minute for City's opening home goal of 2014. 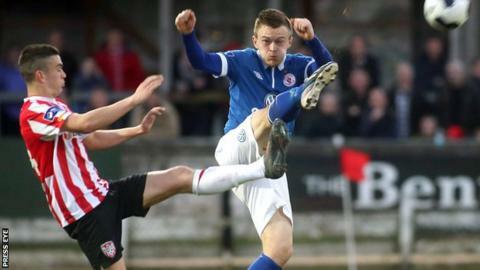 Derry had three points from four games going into the game and they had to be patient against a Sligo side beaten three times in their four games. Elsewhere, Shamrock Rovers suffered a 3-0 defeat away to Cork City. Former Derry boss Stephen Kenny saw his Dundalk side come from behind to beat St Patrick's Athletic 4-1 at Richmond Park. Bray Wanderers won 1-0 at Bohemians, Drogheda beat Athlone 3-2 and UCD had a 1-0 home victory over Limerick.